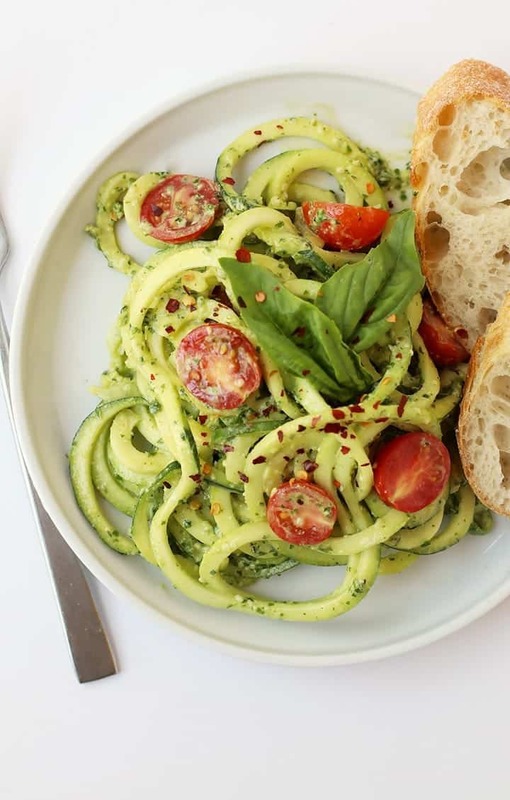 Lighten up with this zucchini noodles with pesto and cherry tomatoes salad. A quick 10-minute meal that is gluten-free and vegan for the perfect summertime dinner. It’s time for another zucchini recipe, my friends! 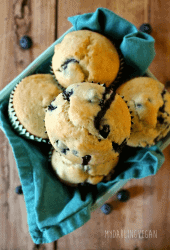 A couple of weeks ago I shared these double chocolate zucchini muffins (which, if you haven’t yet tried, you should!) 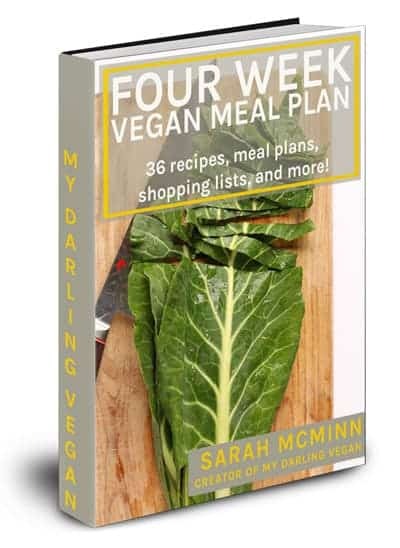 before that it was this super simple vegan zucchini bread (which you guys are loving!) and today, in a continued attempt to use up all that zucchini growing in the garden, I’ve got this zucchini noodles with pesto salad for you. It’s a light and refreshing summer salad that can be made in just 10 minutes and is packed with all kinds of good vitamins and minerals that your body will love. Great taste + great for you. I think you’re gonna love it! 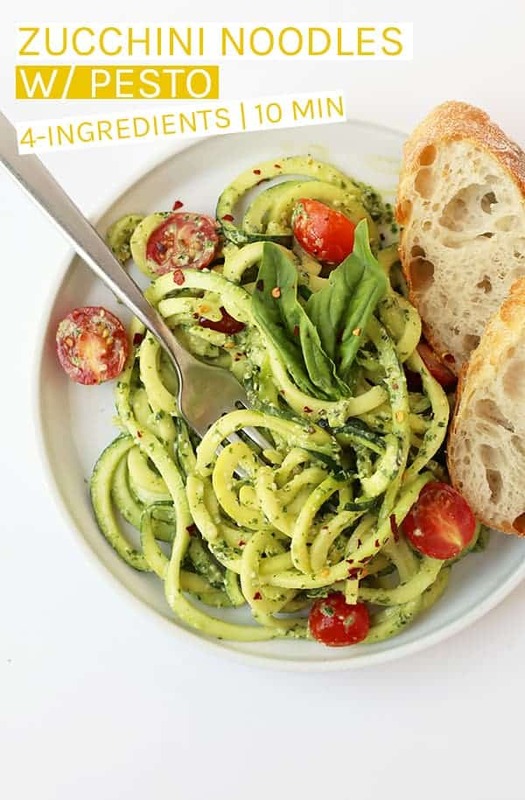 One of the biggest reasons I love these zucchini noodles with pesto is it gives me another opportunity to use my all-time favorite kitchen gadget – the spiralizer. 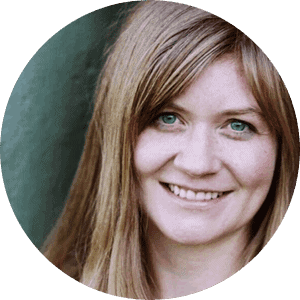 Why do I love the spiralizer? They are totally affordable. 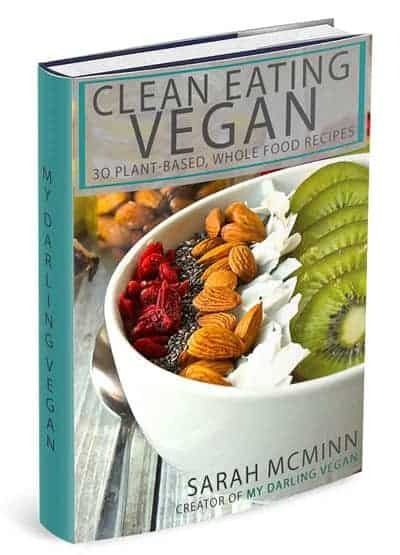 This one that I use is just $19.99 on Amazon! Spiralizers don’t take up a lot of room. Perfect for people like me with tiny kitchens. They are super simple to master. And they turn almost any vegetable into beautiful ribbons or noddles. Just look at what it can do! If you haven’t gotten yourself a spiralizer yet, I highly recommend you pick up one today and see for yourself what the hype is about! Besides the beautifully spiralized zucchini, I also love these zucchini noodles with pesto because I get to make a batch of my go-to vegan pesto. This pesto is a delightful combination of fresh basil, hemp seeds, and lemon juice. In lieu of parmesan, I add nutritional yeast which gives this pesto a creamy and nutty flavor. However, if you would like a bit more of the classic taste, you could substitute nutritional yeast with my vegan parmesan cheese. Besides swapping out the nutritional yeast, you can make pesto with a variety of nuts or seeds. 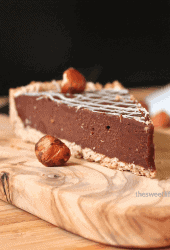 Instead of hemp seeds, you could use macadamia nuts, cashews, or pine nuts. You can also switch up the greens. 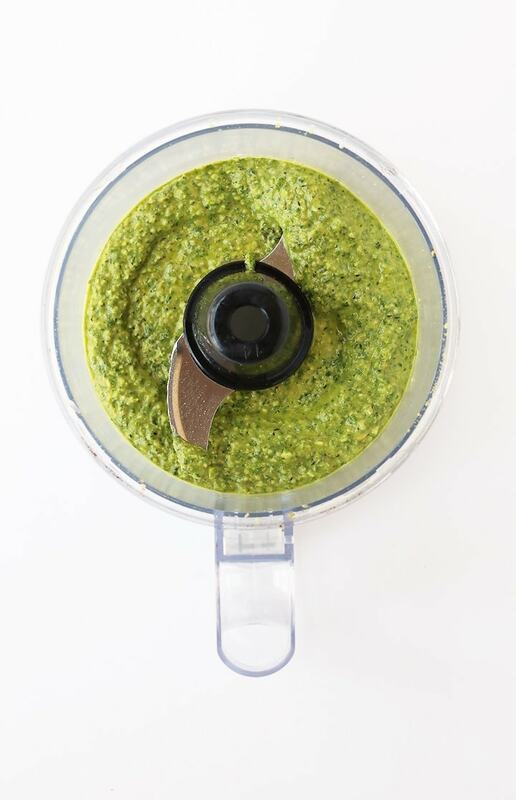 Consider adding arugula or kale for a spicy and earthy variation of traditional pesto. As long as you have basil and olive oil, you can make delicious pesto with what you have on hand! However you do it, pesto is super simple to make! With your ingredients on hand, they simply get blended together in a food processor until you have a thick sauce with a little texture (see picture above). That’s it! 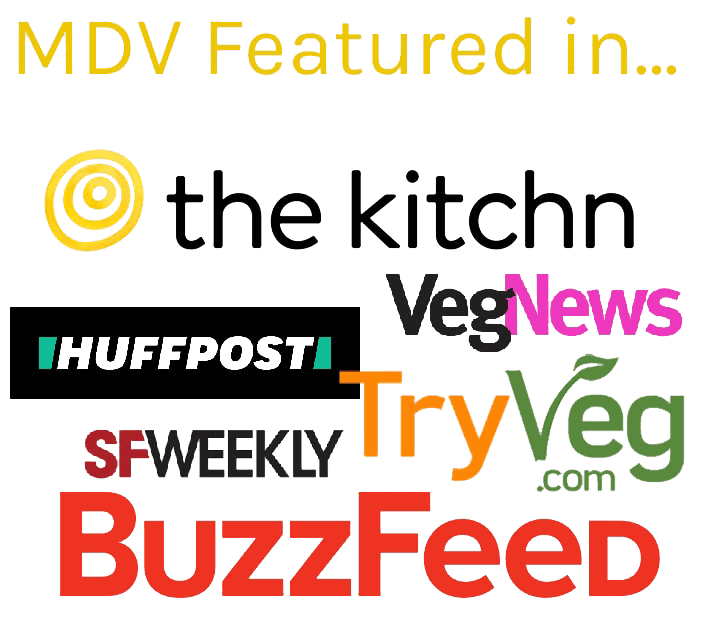 For a full tutorial, check out my step-by-step guide to the perfect vegan pesto. Once the pesto is made, it gets lightly tossed with the zucchini noodles. 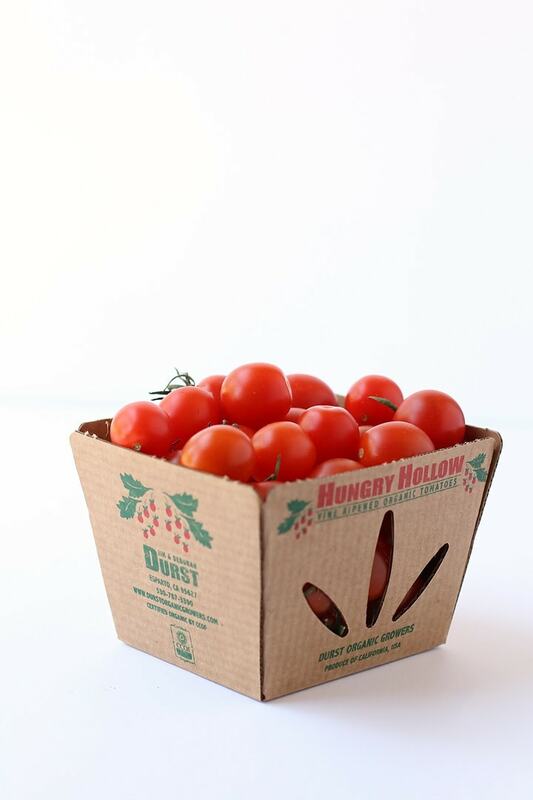 Add those cherry tomatoes, sprinkle it with some fresh basil and red pepper flakes, and you’re good to go. So easy! It’s a delicious zucchini noodle with pesto salad made in just 10 minutes with summer’s finest vegetables. You are going to love it. This meal can be made ahead 2-3 hours before serving. Keep noodles in the refrigerator until ready to serve. Serve these noodles with fresh bread or vegan tomato soup. The best way to store extra is by keeping the zucchini noodles and pesto separate. Pesto can be stored in an airtight container the refrigerator for up to 5 days. Zucchini noodles should be eaten within one day. Try swapping out zucchini noodles for beet, carrot, or sweet potato noodles. 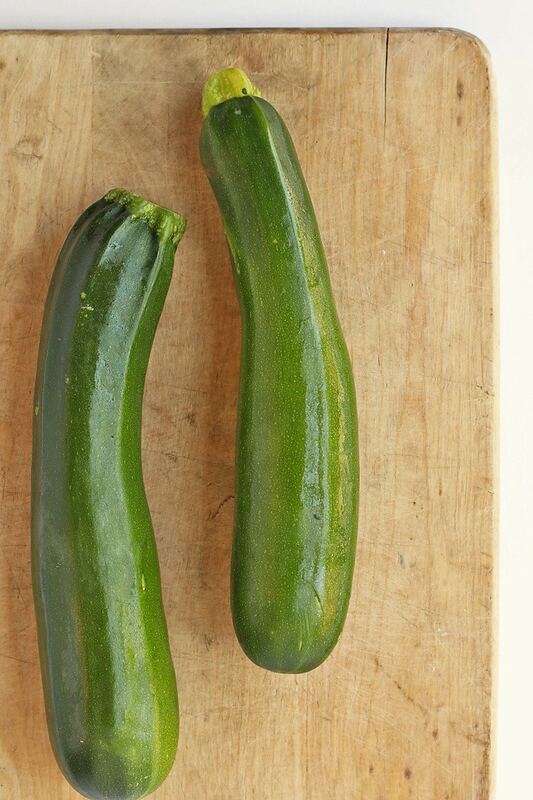 Cut 1/2" off the ends of the zucchini. 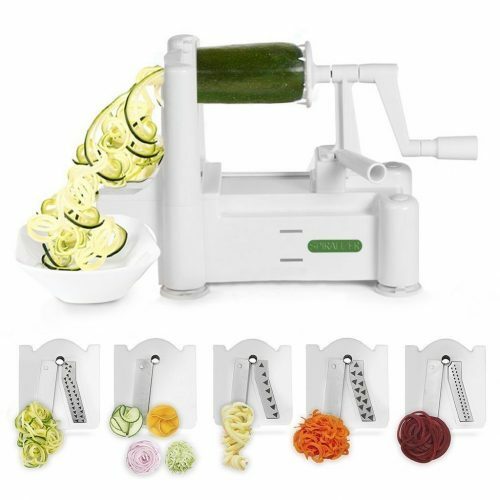 Follow the instructions on your spiralizer to spiralize the zucchini. Heat coconut oil in a skillet and lightly sautéd noodles for 3-4 minutes. Remove from heat and set aside to cool. Make the vegan pesto according to these instructions. Toss the cooled zucchini noodles with the pesto. Add halved cherry tomatoes. Divide the salad between 2 plates and top with fresh basil and red pepper flakes. 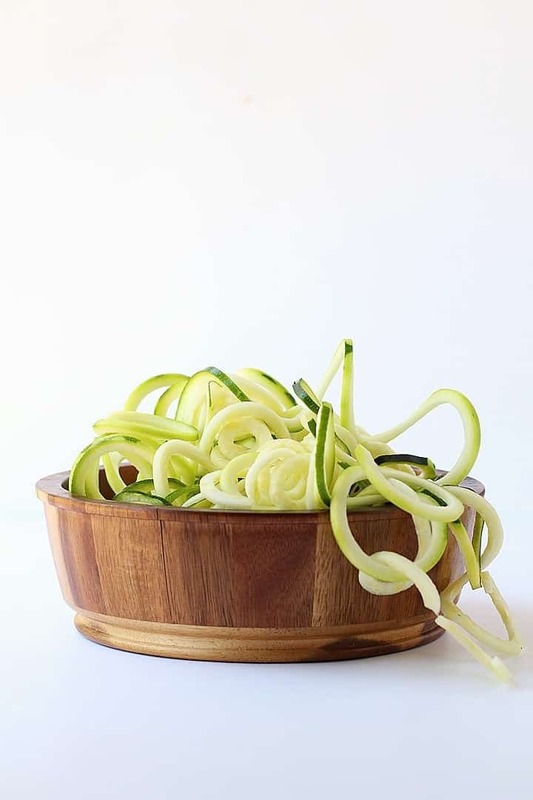 Don't have a spiralizer? 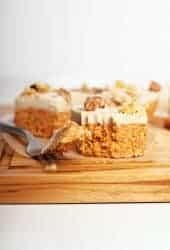 Try the recipe using this method.